Just feel the attraction of this unique color. 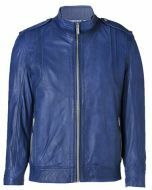 If you want something very different than this is a perfect leather jacket for you. 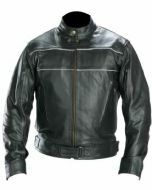 Features ban collar, front zipper pockets, zipper sleeves and much more. Now leave a unforgettable impression on your friend s with this unique design.